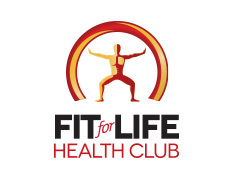 Fit for Life Health Club, Grenada’s Premiere Health and Fitness Club, hosted on 01 April 2013 another one of its MEGA events: SURVIVAL of the FITTEST. This event redesigned fitness in Grenada and brought it to a new realm, when it combined Basketball with the growing Gym Fever. The event showed-off to a crowd of over 1,000 persons CROSS-FITNESS, this unique event, first time done in Grenada was divided into three categories, each category throwing exercises of various types and calibre’s; coaxing the athletes to dig deep within their human reserves to bring out: Strength, flexibility, stamina, perseverance, guts, and superhuman determination; while performing in front of an expectant crowd. Survival of the Fittest not only gave Grenada a chance of fitness but also the opportunity to feast their eyes on the exotics, which is becoming quickly part of our culture. Some of the top Models from the International Modelling Agency were ever present making their talent and beauty known while officiating the day’s activity. The intermission was hyped with a guest performance by the Fit for Life SME dance Group. The final between last year’s defending Champs ‘Nasty Boys’ and challenger L.A Lions , was the perfect closer to a perfect event, leaving the exiting crowd satisfied, and in anticipation of the next year. 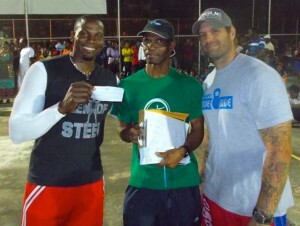 Hats off to FIT FOR LIFE HEALTH CLUB, for satisfying Grenada’s fitness crave.